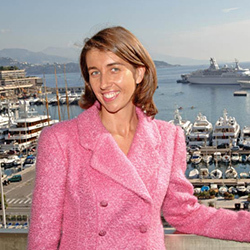 Eileen graduated from the French Reims Business School and joined Liveras Yachts in 2001. Her in-house training started with joining the crew during PRINCESS TANYA and ALTAIR charters in the Mediterranean and the Caribbean. Back in the office, she has dealt with day to day administration. In view of the sharp increase in the number of crew with ANNALIESSE and ALYSIA’s launches, Eileen was responsible for crew placement since August 2005. Over the years, she assisted in all areas of the business and has now gained the position of Charter Manager. Eileen is fluent in English, French, Italian and is a keen skier.